New Test Your Alabama Politics Iq » Mr. Dunn Goes to Montgomery | Who's Behind the Mask? How well do you know your Alabama politics? Staying up to date, or have you slipped? What is embattled long-time New York state Assembly Speaker Sheldon Silver have to do with a quiz about Alabama politics? For the answer, take the quiz. Note: Every now and then, at, MrDunnGoesToMontgomery.Com, we take a break from the wearying toil of research and reporting to have some fun. Such as now. Enjoy, and see how good you are at separating fact from fiction. As is often the case with Alabama politics, it’s not always easy to tell the difference. Five of the following 10 items are actually true. The other six are not, or in any event, not entirely so. The five correct ones are listed at bottom. Sharpen your pencils, set the timer to five minutes and … Go! 1. 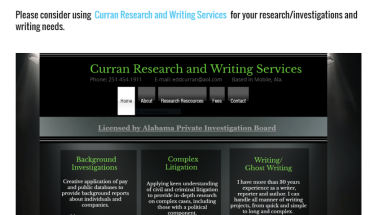 The state politics news site Alabama Political Reporter is just days away from publishing what sources say will be an explosive count by count refutation of the entire indictment against Alabama House Speaker Mike Hubbard. The APR’s Bill Britt acknowledged that the report will in many ways contradict some 350 pieces about Hubbard that the site has published in the past two years. “Many believe that the sole purpose of APR’s existence is to go after Hubbard. That’s nonsense, and this story will prove it,” Britt said. 2. In an office somewhere else, the state politics news site Yellowhammer News is putting the finishing touches on a scorching opinion piece in which YN President and CEO Cliff Sims will accuse Hubbard of exercising “excess gumption and blindingly egregious greed” by moonlighting as a $144,000 a year lobbyist for something called the Southeast Alabama Gas District — this, of course, at the very same time that he was serving as Speaker of the Alabama House of Representatives. The Speakership, by the way, is second only to the governor in Alabama’s political hierarchy . Additionally, Sims will accuse the well-heeled lobbyist/Speaker of “deplorable duplicity” in routing the Gas District contract and the payments through the Hubbard-owned Auburn Network — which until reports of its lobbying contract was better known for providing radio broadcasts of Auburn sports, especially War Eagle football games. Hubbard, signing plea deal and admitting guilt in charges against him. Sims — who has the highest byline count in Alabama “journalism” over the past three years and “personally authors” every story on the site — will also accuse Hubbard of bouncing checks totaling almost $70,000 to Yellowhammer in the past two months and call for Hubbard to resign as Speaker. “Officer Sumner had no problem with ticketing regular folk, but corporate executive types, and, especially, top government officials? They could zoom by him at 125 mph and he’d smile and wave, whereas he’d pop regular folk for going five miles over the speed limit,” said the long-time captain in the Alabama Highway Patrol division. 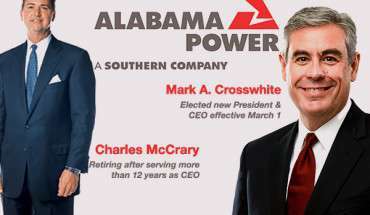 Cavanaugh, who presides over the meetings, frequently uses the “point of personal privilege” to talk about matters with no apparent connection to regulating the rates of Alabama’s shareholder owned utility monopolies. The phrase, “that cedar chest” was used seven times, such as when Cavanaugh told attendees about finding old Christmas cards she’d sent as a child to her grandmother in “that cedar chest.”. This particular “point of personal privilege” lasted five minutes. 5. At the start of February’s PSC meeting, the above-mentioned Cavanaugh opened by telling those gathered that the PSC should have “a few more meetings each month” because “everyone is having so much fun.” She then called for a “point of personal privilege” — not for herself, this time, but because the newest commissioner, Chip Beeker, had something he wished to say. Beeker spoke for six minutes, topping the five minute story told by Cavanaugh in December. Later that day, with a post on his Facebook page, the West Alabama catfish farmer seemed to indicate that he may have more to say at next month’s meeting. 6. The purpose of the Alabama Public Service Commission is to supervise and regulate the state’s electricity, natural gas, water, railroad, and telecommunications companies. Its best known and most important responsibilities involve overseeing the allowed costs, profits and rates of the state’s three shareholder owned utility monopolies: Alabama Power, Alagasco, and Mobile Gas. 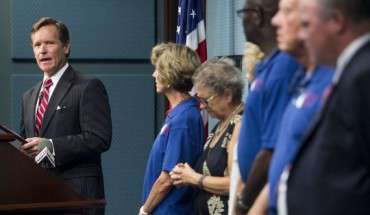 Commissioners are paid a salary of $103,490. 7. In September 2013, long-time Alabama congressman Spencer Bachus announced he would not seek another term. Immediately, a host of well-known Republicans from the Birmingham/Jefferson County area either announced their intention to run for Bachus seat or said they were considering. Among those was Cliff Sims, President and CEO of Yellowhammer Multimedia. Sims has written countless stories savaging Terry Dunn — who was defeated in last year’s election by Beeker — as well as Dunn’s chief of staff, David Rountree. Sims has also written, or in any event put his byline on stories, praising Beeker. 8. Five new non-profits with ties to Alabama political consulting firm Matrix LLC were recently incorporated in Montgomery County Probate Court. 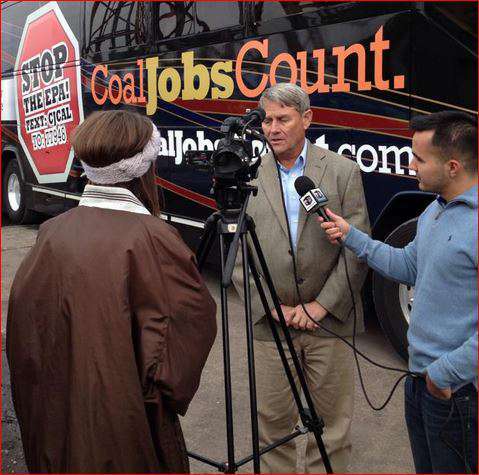 Chip Beeker — current record holder for longest “point of personal privilege” at a PSC meeting — speaks during press conference last year held by “Coal Jobs Count” and its traveling bus. At left, and yawning, is Lance Brown, head of the Partnership for Affordable Clean Energy, and at right, checking his Twitter account, is Patrick Cagle, of the JobKeeper Alliance. At the time, they were in the Washington office of Alabama congressman Bradley Byrne. Brown and Cagle are said to play key roles in the new non-profits. 9. Embattled long-time New York state Assembly Speaker Sheldon Silver is telling allies that his attorneys are working on a “selective prosecution” defense against the bevy of recently filed criminal charges accusing him of “defrauding the public and using his power” to obtain $6 million in bogus “legal fees” from two New York City law firms. “Hell, a law firm that Siegelman secretly arranged to receive a multi-million legal fee — a fee paid for by the state of Alabama, in the Heart of Dixie for Chrissakes — turned around and paid this Siegelman character at least $800,000! And it was from some long-dead tobacco lawsuit! 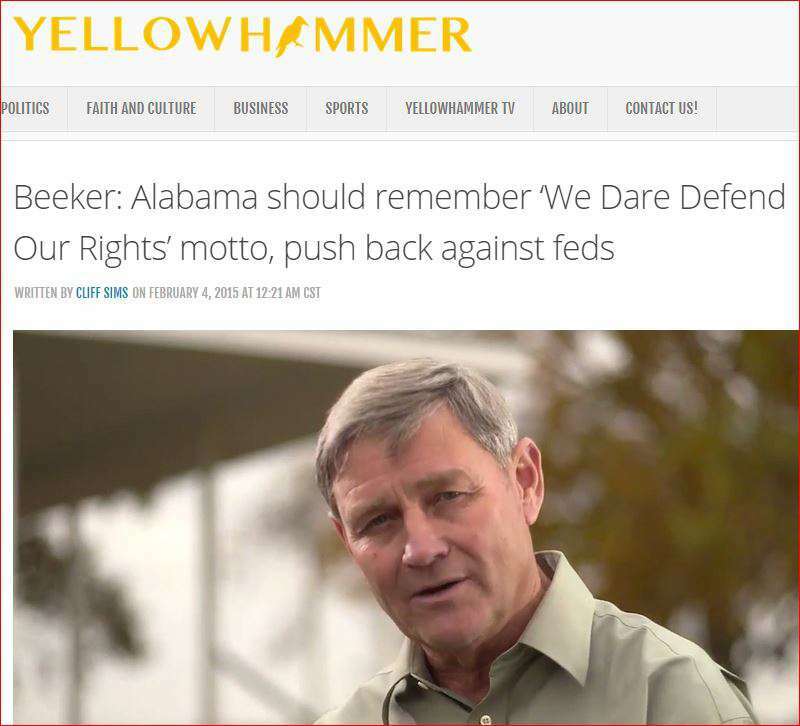 The state wasn’t even being sued but they paid to settle it because this Siegelman ordered it! I would never do anything that brazen! Portion of Siegelman’s ethics report for 2000 showing a payment in the maximum category, “More than $250,000” for “legal fees” from the law firm of Cochran Cherry Givens. A side view of the Montgomery home Siegelman sold to Birmingham trial lawyer Lanny Vines for $250,000 — at least double its value. The sale was concealed by a straw man buyer (Vines’ accountant) and a Delaware company formed solely for the deal. Siegelman steadfastly refused to comment in depth on the sale, such as to even confirm that he knew Vines was the true buyer. In 2008, the home was about to be condemned when a buyer stepped in, bought it for $10, then renovated it. Actual statement by Siegelman to the Daily Beast. Siegelman said — and people apparently believed him — that the Bush administration ordered all hands on deck at the Justice Department to go after him because they feared he might “gin up” a presidential campaign and, or so Siegelman seems to indicate, win the Democratic nomination (“out of my way, John Kerry!”) and then, after defeating Bush, the White House. That’s right: President Siegelman. Even more implausible is that an immense number of people with functioning IQ levels — loads of them in the national media — believed him. Recently, New Yorker and CNN legal analyst Jeffrey Toobin joined the chorus of “important people” who believe in Siegelman’s innocence, argue that he should be pardoned, and bolster their argument by parroting Siegelman’s claims about being targeted by Karl Rove. I probably won’t cancel my New Yorker subscription but from now on I’ll be real wary of anything Toobin says or writes, and I’ve been a fan of his for years. 10. Last year, in the heat of the PSC campaign between incumbent Terry Dunn and challenger Chip Beeker, Dunn accused Alabama Power of being behind a smear campaign designed to portray him as a liberal environmentalist. Dunn said if Beeker wins, “then Alabama Power wins.” He said a Beeker victory would give Alabama Power control of all three seats on the PSC, since, as Dunn implied, PSC President Twinkle Cavanaugh and Commissioner Jeremy Oden were Alabama Power toadies. 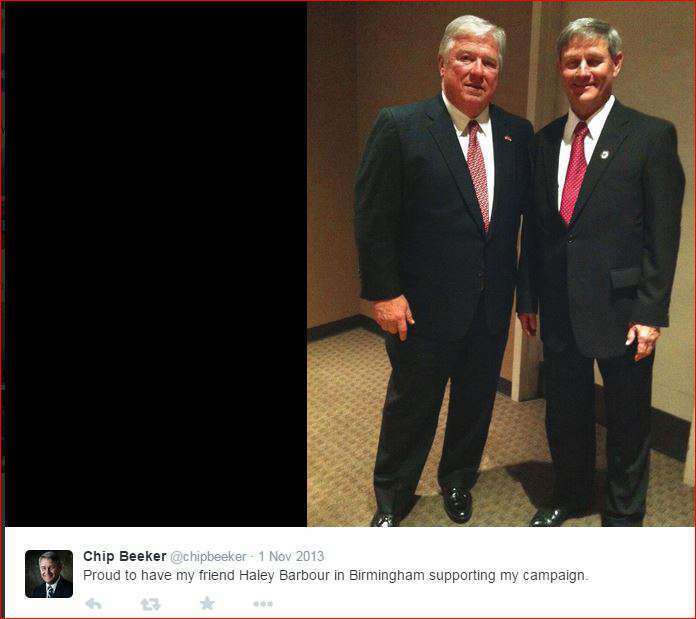 On his Facebook page, Chip Beeker posted a picture of himself at a Fall 2013 fundraiser for his campaign in Mountain Brook featuring Southern Company lobbyist Haley Barbour. Alabama Power is a subsidiary of Southern Company. It would be an insult to Beeker’s intelligence to suggest he did not know that. The above is definitely true. But is it also true that Michael Sznajderman, the chief spokesman for Alabama Power, said the following in response to Dunn’s allegation. For sake of clarity — for we oppose trick questions — the question isn’t whether Alabama Power is or is not involved in PSC campaigns; but whether the spokesman stated, with a clarity that brooked no doubt as to its meaning, that Alabama Power does not participates “directly or indirectly” in PSC campaigns. QUIZ ANSWERS: While there is truth in most of these, the only ones true in all respects are four, five, six, seven and 10. If you picked those then you indeed know your Alabama politics. Now, go take a bath. You’re covered with grime.